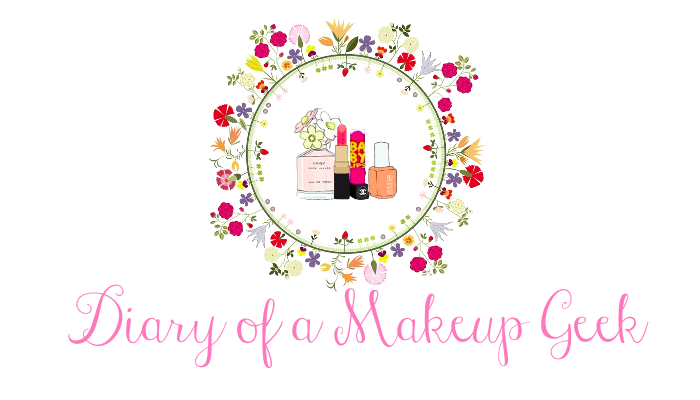 Wow it has been some while since my last post! 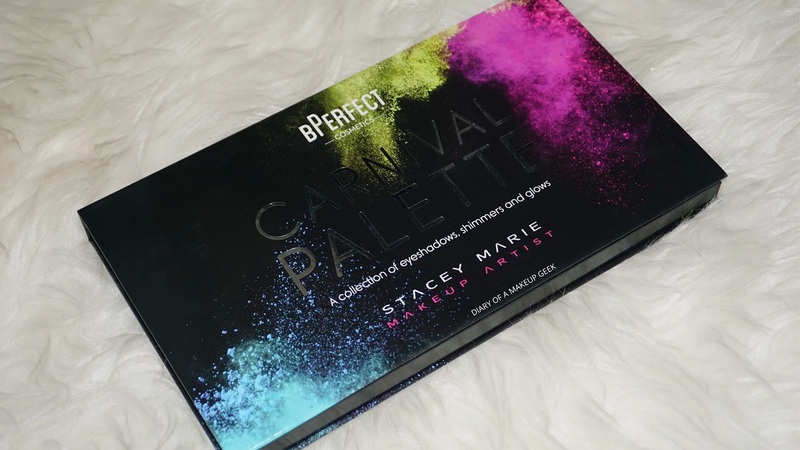 Anyway I'm here and wanted to introduce this palette to you - the BPerfect Stacey Marie Carnival Palette is a palette no short of a colour explosion! 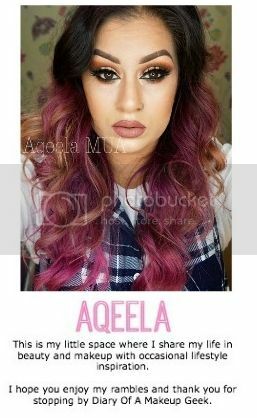 Stacey Marie is one of the top UK artists around with a whole unique style of her own, I am excited to say I'll be getting training with her in August, this a lady who is booked up for the year and you need to get an appointment with at least 6 months in advance! 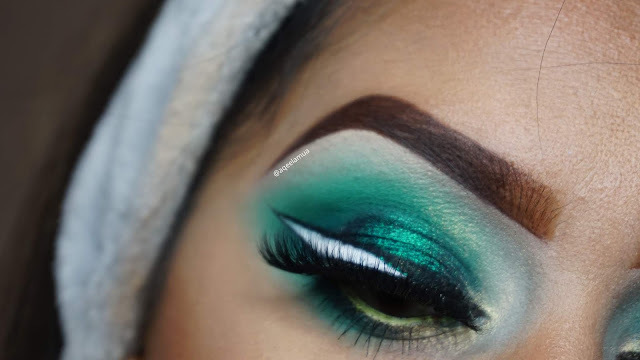 If you aren't already aware of her then you need to be heading over to her instagram! 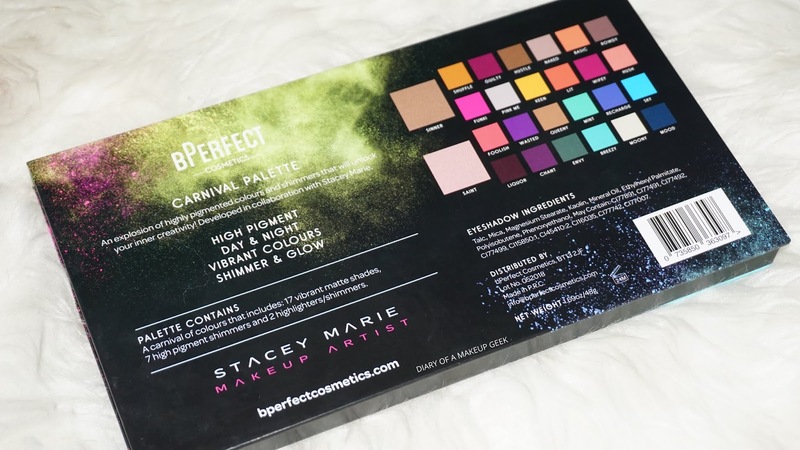 So BPerfect Cosmetics and Stacey Marie collaborated to bring us this palette which reflects Stacey Marie in every way possible as she is one who's definitely not afraid of colour! 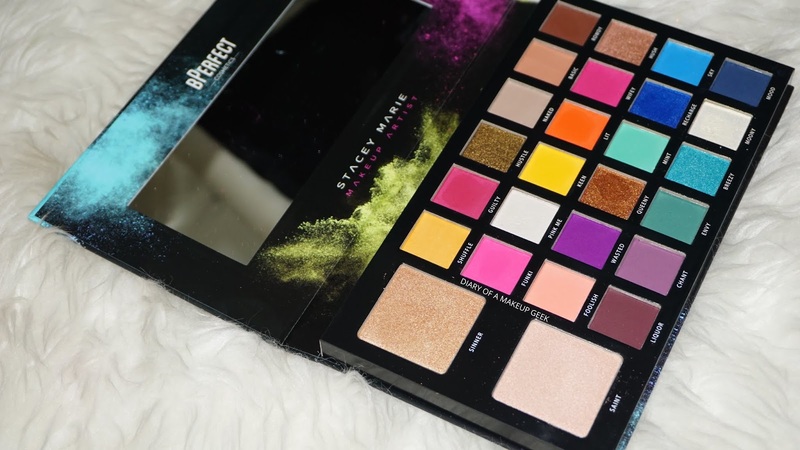 The palette is bursting with a total of 26 shades; 17 matte shades, 7 shimmers and 2 highlighters. So the palette comes in a sturdy box packaging, though its not a palette thats on the slim side its nothing thats too bulky either, the designing on the packaging fits in with the name of the palette and I feel there is a whole theme that flows together beautifully from the shades to the packaging and the name of the palette. Inside theres a full size mirror and all the shades are named which is another advantage. 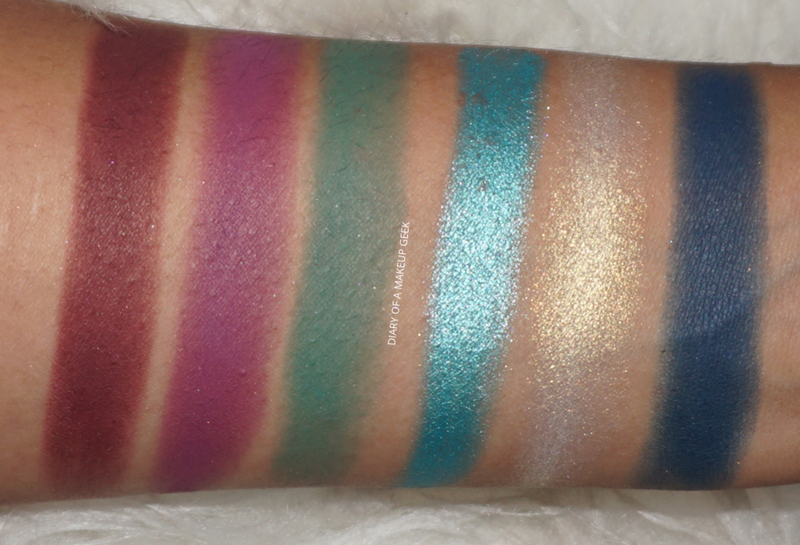 I love the selection of shades specially the greens and blues as they can be difficult shades to find in a palette, I found that the shadows were highly pigmented however some of the mattes didn't so much pick up with finger swatches but picked up way better with brushes. 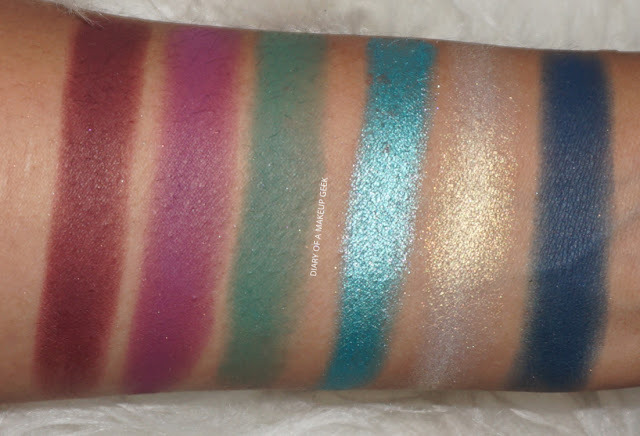 Although they've listed some of the shades as shimmers I would personally say they're foiled eyeshadows, I have to add here the intensity and pigmentation on them is cray-cray! 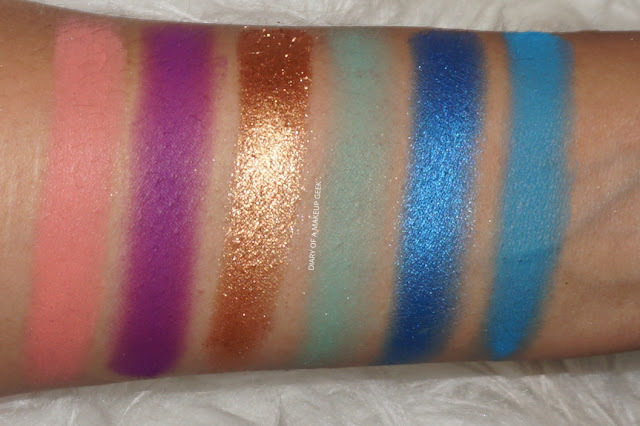 Theres also two duo chromes which are perfect for highlighting or for a spotlight they would work really well. 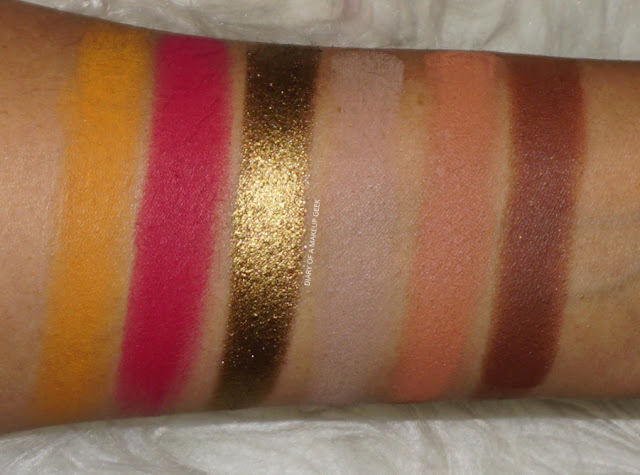 Finally theres two highlighters again which I was super impressed with, one is a warm golden tone and the other is a peachy pink highlight both can be used on either the eyes or face! The palette retails at £39.99, below is a look I created on Facebook live using the palette. 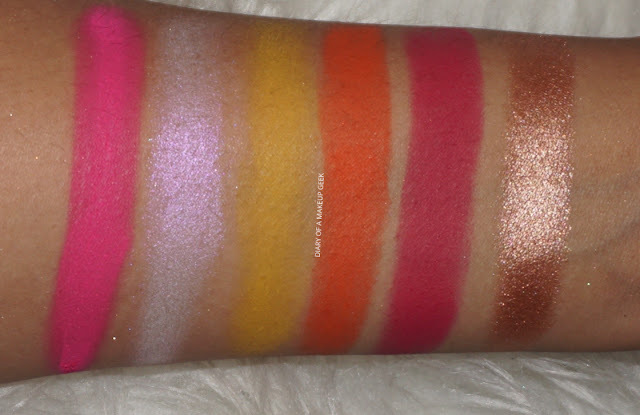 This is so cute and bright. 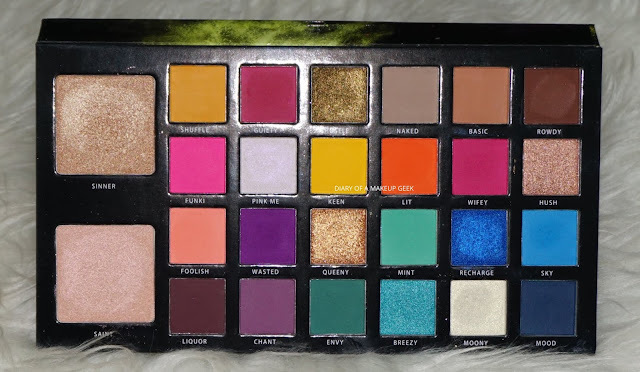 that eyeshadow look is stunning! !